I'm not really into sci-fi books, so Armageddon was a little outside of my usual reading range. He-Sung Oh is your average teenager, but plagued with weird futuristic dreams about mankind fighting against an invader called ID. When a new girl comes to school, a beautiful woman named Mari Jung straight from He-Sung's dreamworld, suddenly the line between fantasy and reality begins to be erased. Sliced into the main story is a multi-chapter preface, telling the story of an alien race leaving a monolith-like device on Earth to create civilization. Actually, I enjoyed the preface chapters much more than the actual story. The plot is sluggish. In fact, the main story has hardly gotten off the ground when the volume ends, and the hooks are just not there to make me want to pick up the next volume. He-Sung, Mari, and even Um-Ji Choi, the required childhood female friend, just aren't interesting enough to make me care. This was one of the series that caught my eye a few months back as something to pick up on my next manga shopping trip. Mahiru Shiraishi is your average girl with the ability to give her luck away, leaving herself with none. She also has these weird dreams about a princess and a demon... Turns out that she's the descendent of the human princess whose fickle heart killed a moon demon. Now the Lunar Race needs her help in recovering the Tears of the Moon, jewels that have great power, allowing the Lunar Race to recover their ancient powers and not be bound by the phases of the moon. The Lunar Race consists of a vampire, bat, fox and a werewolf, all of them pretty boys in both human and demon form. Except for the fox, but I suppose he needs to be beyond suspicion in his human otaku form. It has werewolves and foxes. Can't lose, right? The only problem is that Crescent Moon is just a rehash of worn out shojo cliches. Girl with mystical powers that allows people to transform, check. Moon princess, moon palace, moon anything, check. Clumsy and relies on others to help her, check. One of the boys hates her on sight, but somehow you know they're destined to fall in love, check. Honestly, we've done this already. I don't need to hear this story again. It doesn't help that there's a multi-page recap in the middle of the book, as if we had forgotten the plot thus far. 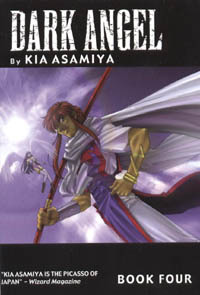 I've read Dark Angel off and on over the years, so I was already familiar with the general story when I started this volume. 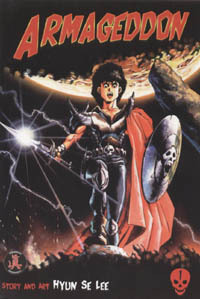 Dark is the Phantom Saint of the Red Phoenix. Accompanied by his fairy guide, Kyo, Dark must go to the city of Oukoku, where he will officially become the Phantom Saint. However, he must first cross a desert populated by powerful thieves, who confront Dark and steal his sword and Kyo. The only way to get them back is to win against the Gairana thieves in their mobile coliseum in a fight to the death. However, Dark has vowed to not kill. 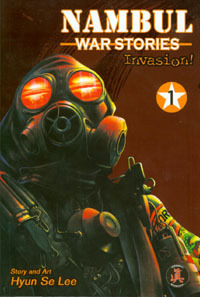 At the beginning of this volume, Dark has a dream of meeting and saving the life of a girl from tanks and fighter planes. She gives him a good luck charm in thanks before she dies. When Dark awakens, he find the charm in his hand. Obviously, this object will play some role in getting Dark out of this dilemma in Volume 5. Diabolo is a first for me. So far I've been lucky enough to enjoy every manga purchase that I've made, but Diabolo was a bit of a mistake. I was lured in by the pretty cover -or should I say, pretty boys on the cover- but the manga itself is an attempt at horror that turns out a little horrible. From what I could gather, children that make a pact with Diabolo have a wish granted, but then they grow insane by their eighteenth birthday. Our two protagonists made that pact when they were seven years old and now run around trying to save others from their fate. A major problem with this book is the plot. We know what happened, sorta. We're told what's going to happen, vaguely. We understand what's happening, maybe. On top of this very big problem, the horror aspect of the manga is lacking. Some situations are gross, but none incite that much fear in the reader. 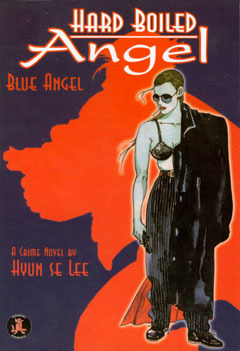 Unlike the politically charged Nambul War Stories, Lee's Hard Boiled Angel is a straight cop story about Detective Ha, a woman who uses all of the gifts that God gave her to lure in crime and trap it the second that it jumps for the bait. The title describes Detective Ha perfectly. A tomboy, she smokes fellow police officers for kicks, headbutts with the best of them, and doesn't mind taking it all off for justice. She has a softer side too, it's just encased in a shell of dirty language and violent hand gestures. 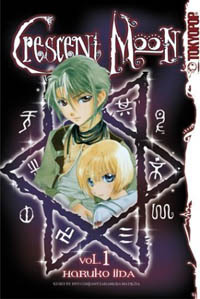 The chapters in this manga are standalone, one case per chapter. Each story is easy to follow and paced well. Lee's art takes on a very cartoonish quality, which helps mix humor and character development with more serious sections of the story. Take Chobits. Now make Chii start out with an annoyingly stuck-up anime girl personality, and make naive Hideki a perverted young man who just wants a real-life doll to dress up and make costumes for. Congratulations, you now have Indian Summer (Koharu Biyori)! 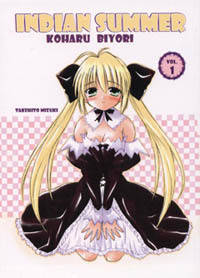 This manga really should be classified as a Chobits parody. Yui is Chii with a conservative set of morals and a dirty mouth, who only wants to perform her original function as a maid robot. Takaya Murase is a doll collector who wants the ultimate doll to play with: a female robot. Their relationship is naturally a bizarre mixture of fetish, true love and ownership of a really cool toy. Hyun Se Lee addresses many fringe topics in his manhwa (korean for manga), such as Korean-Japanese identity, imperial Japan, war and political intrigue. There are very few books that approach these things with such an intense scrutiny as Nambul War Stories, and because of this, it deserves a lot of merit. A concentration on currently relevant topics isn't the only thing that makes this book unique. 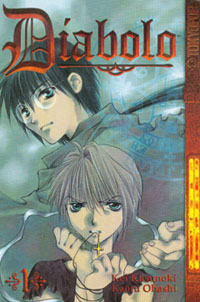 The story is written from the perspective of a Korean-Japanese gang leader, maybe one of three in all existing imported manga. The artwork is very different as well. It's more cartoony and less minamalistic than most manga. 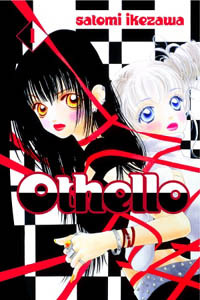 Despite its somewhat slow beginning, I was pleasantly surprised by Othello. It is the story of a young high school girl named Yaya who is relentlessly given the shaft by her friends. No matter how badly she is treated, she always quietly takes it without fighting back. Fortunately, she has an avenger: her alternate personality, Nana! How will this change her relationship with her "friends" and her crush, Moriyama? While it may sound like a fairly dumb plot, this volume was very entertaining. Although it started at a fairly slow pace, a quarter of the way through it picked up. This is the point at which Nana comes in and starts exacting her revenge on all those who take advantage of Yaya. Just seeing what happens next is reason enough to continue reading. The good story is made even better by the exceptional artwork. Everything is very stylized and the character designs are excellent.